The past few days have been great, but I've been a bit off time wise. One thing I've learned for sure here is that you must eat on time if you want good food. Otherwise, you may be stuck with something less desirable. Many pubs only serve food during specific hours. This has been a bit confusing to me. Also, most shops here close at 6 PM. I tried to go into a dressing room at a store here and was told simply that the dressing room was closed (in my mind it was just out of order). As I started to look for an alternate dressing room, the annoyed clerk explained that the store was closing. It definitely makes me feel spoiled in Memphis, where I can get lunch at 3 PM and shop until 9 PM. Despite a few hiccups related to timing, yesterday was a very fun day. 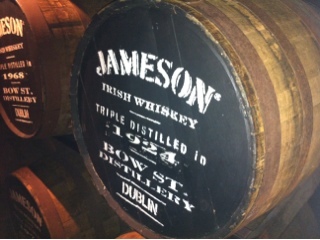 I started off by going to take the Jameson whiskey distillery tour. It was interesting in that there was a live person explaining the distilling process. I was a bit disappointed though. Of the 40 or so people on my tour, the guide only picked 8 people to do a full tasting. Being from Tennessee, it seemed certain that i should be selected for this task. The volunteers were able to compare Jameson to Jack Daniels to Johnny Walker (while the rest of us ogled at them). At the end, the 8 participants received a diploma on being trained whiskey tasters. The whole thing was such a cool concept, but I think they should really rethink the 8 part. Everyone should get a tasting. 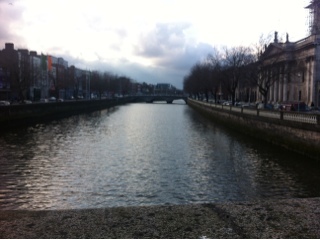 If you come to Dublin and can go only with Jameson or Guinness, do the Guinness tour. Everyone gets to try everything there. After the tour, I took a long walk. I stopped by Kavanegh's pub in search of food. I sat at the bar for a long while without being served. While I was waiting, I read through the tips on Foursquare and found that only men were supposed to be sitting at the bar at this old fashioned place. Eventually, someone came to tell me that they were no longer serving food. With that, I headed around the corner to a sandwich shop / cafe called The Mad Hatter. After lunch, I checked out the Celtic Whiskey Shop. I was so impressed at the huge volume of different whiskeys they have there. There's even a big representation from Tennessee and Kentucky. They also had wines from all over the world. The only surprise was that they had no wine from California or anywhere in the US. I also passed by a number of chocolate shops and candy shops. 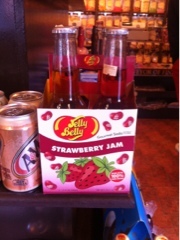 People really seem to love their sweets here. 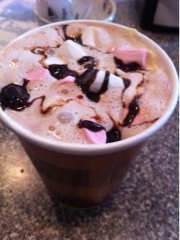 Below is another hot chocolate from today and an unusual drink I saw in a candy store. 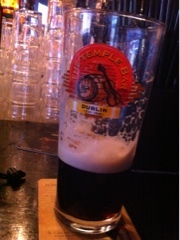 I made a quick stop at some point for a Guinness at the original Temple Bar. They had a live band that was playing Irish music-- until they switched to Johnny Cash. It never fails that I can hear music that sounds like home wherever I go. 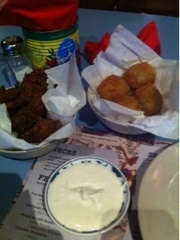 For dinner, I went to an amazing fried chicken place called CrackBIRD. Apparently, the place started as a pop up restaurant, and has now bloomed into the real deal. I had chicken tenders and these little fried potatoes with a dip made with creamed feta. One of the things I've really loved about Ireland is their use of cheeses. 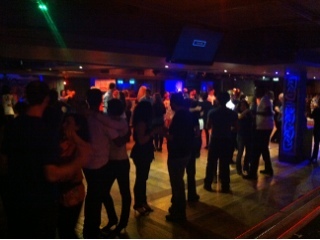 After dinner, I attended a salsa lesson put on by Salsa Dublin. It was a fairly large event with multiple levels of classes. It was all locals, but interestingly they were from all different countries. It reminded me a lot of the international crowd in Memphis (in fact a lot of things about Dublin have reminded me of Memphis). The class was fun and I had the chance to meet a few new friendly people. 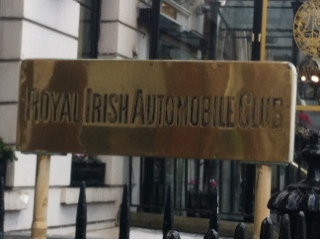 I'm going to head out soon in search of a real Irish breakfast. Hopefully, I will finally be with the program today. I'm hungry.